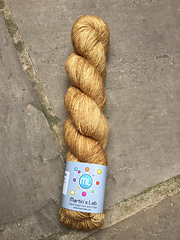 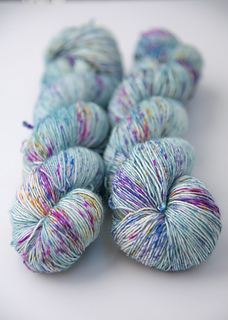 This single-ply superwash merino takes dye beautifully, for vivid and gorgeous colours. 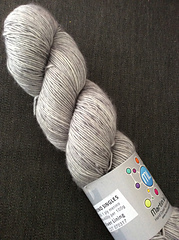 It is ideal for shawls and lightweight garments. 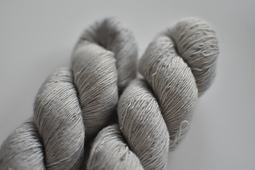 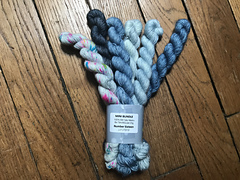 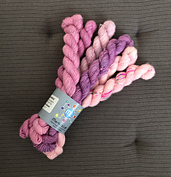 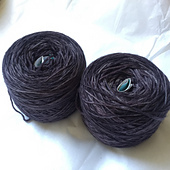 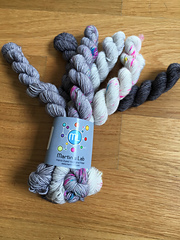 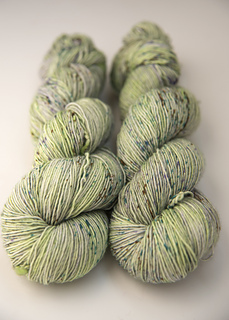 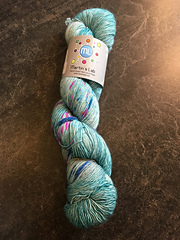 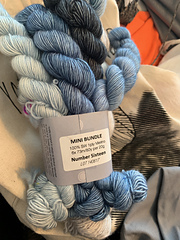 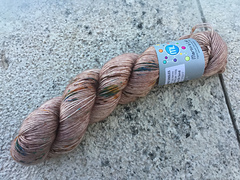 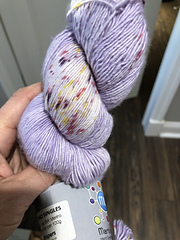 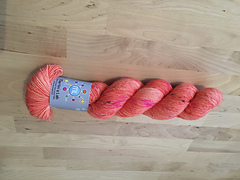 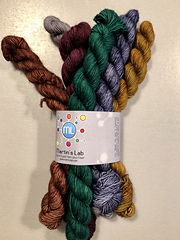 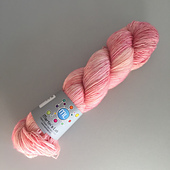 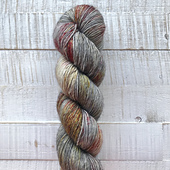 Also sold in mini skeins--Six 20 gram skeins=480 yds. 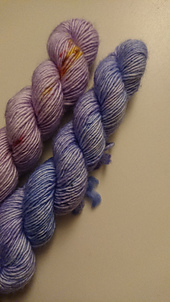 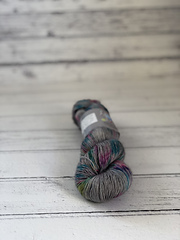 This is the same base yarn, just sold in smaller skeins.